Since I got my UMO+ the stepper motors get really hot when they're working (I can't touch them for more than a second without burning). Two weeks ago my heated bed sensor died, and when I disassembled the board cover I saw that the the board is brownish (burnt) around the X,Y,Z and E1. On the picture you may not appreciate them very well, I just didn't want to photoshop the picture to give a wrong impression. Is this normal or is there any risk something fails? 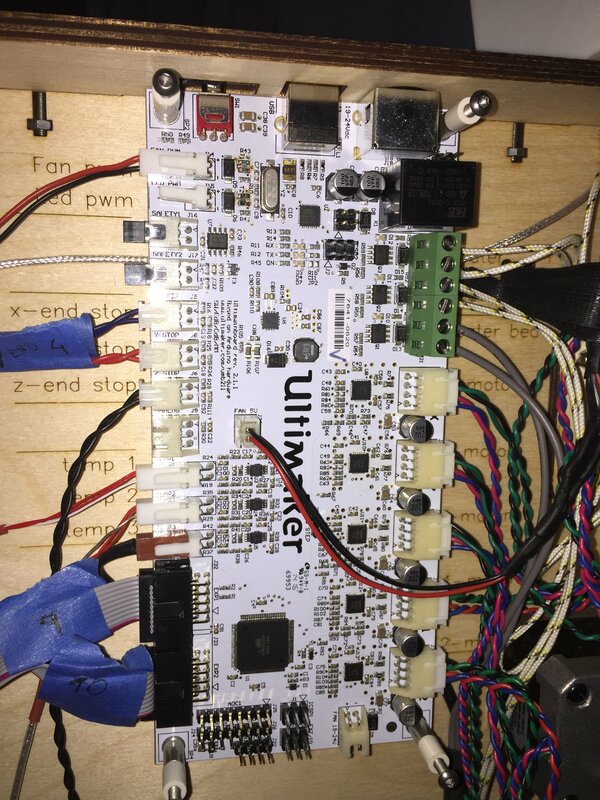 I checked everything, but as it's the same board as the UM2, the power sent to the stepper motors can't be easily changed. Well mine has 8 months heavy use and definitely doesn't look 'that' yellow.